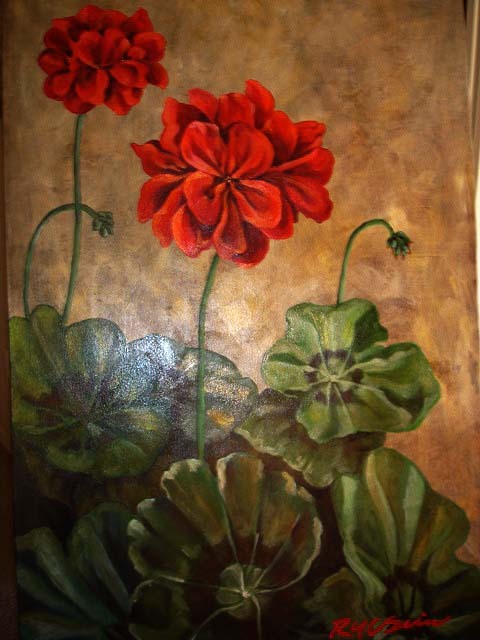 This painting of a geranium was done in honor of my friend Gen's 35th birthday. She is redecorating her living/dining room in dark gold and red tones. I love how this painting marries the glamour of gold with the neighborliness of the geranium. How all the more perfect that the meaning of the geranium is "true friend."